How Far is Vasathi Anandi? 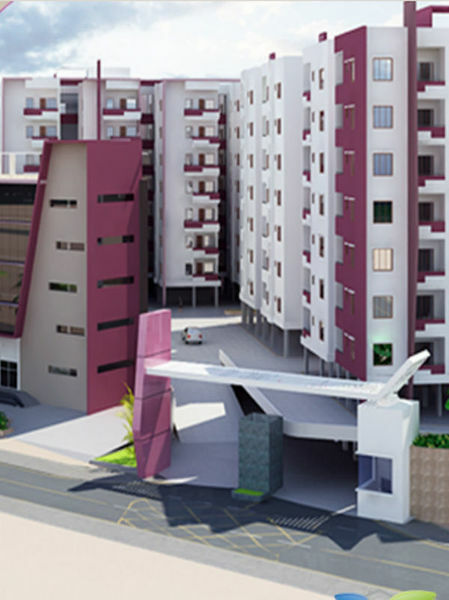 Vasathi Anandi, a dream within reach, is a premium gated community that offers high-end amenities. Spanning a 5 acres of land area, Vasathi Anandi, houses all modern amenities and recreational facilities of a self-contained green residency. The project is strategically located just 1.8 km from APPA junction on Outer Ring Road. Key areas are well within reach with HITEC City – 15 km, Gachibowli – 13 km, Banjara Hills – 12 km, Mehdipatnam – 7 km and Shamshabad International Airport only 14 km away. Comprising 483 Studio/1/2/2+Study/3 BHK apartments ranging from 262 sq ft to 1355 sq ft, the property is aesthetically designed, spacious and Vastu compliant. To offer customers a better quality of life, Vasathi Anandi incorporates multiple measures for energy saving, water efficiency, CO2 emission reduction and improved indoor environment. Vasathi Anandi has received IGBC Gold Precertification. The certification reiterates Vasathi’s commitment towards building sustainable, eco-friendly and green communities. Only 2BHK & 2.5 is avaliable.Remaining units sold out.